After a smooth flight, excepting some bumps through the ITCZ, we cleared customs and immigration in Santiago with no problems. 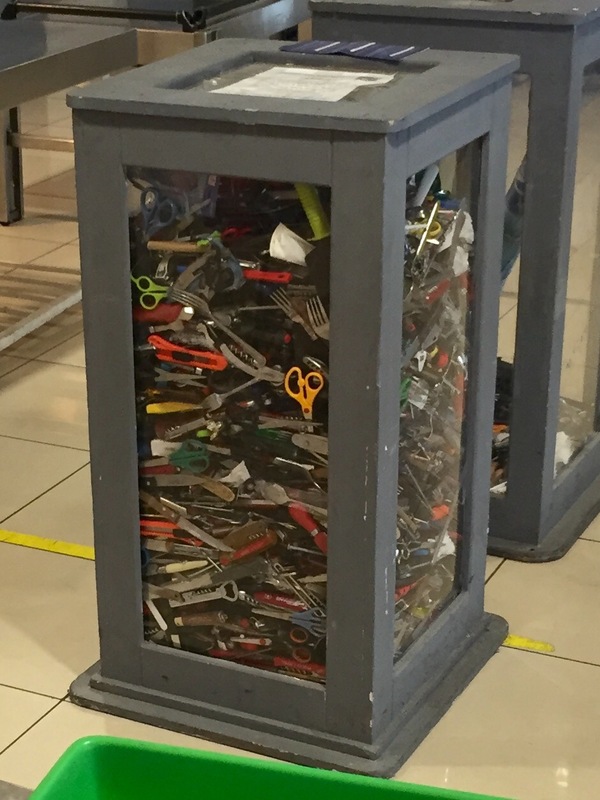 While passing through security for our next leg, we got to admire the enormous collection of confiscated pocket knives, scissors, metal forks, etc. In today’s world, better there than on the plane!